LONDON – Offshore companies may soon have to reveal the identities of their ultimate beneficial owners, with the information to be recorded on a central register. Late last week the UK government instructed the British Virgin Islands and the Cayman Islands to set out a timetable for the implementation of a central register of companies. As part of the proposed central register, information about the ultimate beneficial owner of each company will be made available in the register. The central register is intended to help combat international tax evasion, as it will become more difficult to use offshore shell companies to unfairly dodge taxes. PARIS – The government of France is taking a firm stance in the fight against international financial crimes by classifying three more countries as tax havens. 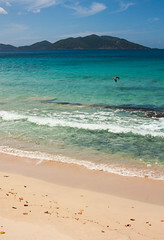 France has officially classified Bermuda, British Virgin Islands and Jersey as “non-co-operative jurisdictions” in regards to information sharing and taxation, with the three countries joining the ranks of Botswana, Brunei, Guatemala, Marshall Islands, Montserrat, Nauru and Niue, which have also effectively been classed as tax havens. The countries on the list each face a 75 percent automatic withholding tax on any payments coming from France. 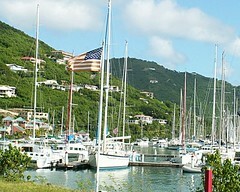 Annual government corporate renewal fees collected in the British Virgin Islands (BVI) grew in 2009, as did the number of sea vessels registered in the first two months of 2010, leading the Government officials to extol a sense of optimism in the economic prospects for the 2010 year.